After years of laying the groundwork, Nancy Walentas launched Reading Manipulatives in 1996. Nancy actually began developing holistic, hands-on materials in the 70s in order to teach literacy skills to the wide range of students she serviced as a Reading Specialist. The positive response and tremendous skills gains students made when utilizing her materials launched her into a career of manipulative materials development. Nancy taught practical reading courses for the University of Virginia and the University of Colorado in which teachers learned to create and use individualized, hands-on materials to build literacy skills. Her collaboration with many teachers ultimately led to the products offered by Reading Manipulatives. These are the types of outstanding materials that teachers made in less hectic and stressful times. Ironically, the active involvement fostered by manipulatives is more beneficial than ever due to the pace and interactive nature of life today. Reading Manipulatives grew dramatically because the products it offered were unique and effective. Those who tried the materials came back for more. Our products are used with students of all ages and abilities. Individualized, student-centered manipulatives are amazingly effective with preschoolers through adults, and they address all types and levels of literacy skills. 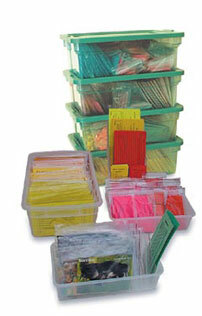 Reading Manipulatives discontinued production of printed, laminated materials in 2013 due to changing demand. Low-cost digital downloads of our extensively used and tested materials are now available. The PDF files include all manipulatives or task cards from each product. In some products, worksheet alternatives for manipulatives are also provided. Guides correlate skills to Common Core State Standards and contain teaching strategies, resource lists, and student recordkeeping checklists. The teachers at Reading Manipulatives want you to see how motivation and skills soar when individualized manipulatives and task cards are added to daily instructional routines. That is why we are offering a variety of worthwhile, downloadable resources for free on this web site.